In today’s highly mobile business world, cloud storage is the norm—it offers convenient and secure storage for your files, allowing you to access them from anywhere, anytime. Google Drive is a cloud storage platform that integrates seamlessly with other G Suite apps, such as Google Docs, Sheets, and Slides. 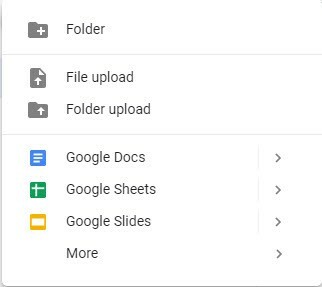 With Google Drive, you can preview different file formats, upload files and folders from your devices, and share files with other users via links. Ample storage space and affordable pricing model. Extensive functionality and support for other G Suite apps. Reliable security measures to encrypt your data and protect your privacy. You’re billed monthly for each user account. You can add and remove accounts at any time and pay only for the accounts you use during that month. You can cancel service at any time without penalty. Recommended for: Small organizations with a variable size workforce. Annual Plan availability depends on your country, your subscription, and how you pay. For details, check out the G Suite Annual Plan information page. You’re billed monthly at a discounted rate. To earn the discount, you commit to paying a full year’s subscription for your team or company. If your team grows, you can purchase more licenses and your monthly rate goes up. You can reduce licenses or monthly payments only when renewing your plan at the end of the year. If you cancel your subscription before the year is up, you still pay for the full year. Recommended for: Organizations with a constant or growing workforce. Learn how to manage user licenses for either plan type. Commitment None 1 year of service for licenses purchased at the start of the contract. Remove users At any time (reduces monthly cost) Only when you renew the annual contract. Until then, you pay for all purchased licenses. Cancel service At any time without a penalty Must pay annual commitment (even if you cancel early). Straight out of the box, you can create spreadsheets and edit them as well. Upload a comma-delimited (CSV) file, and Drive converts it to a spreadsheet format. You can also link a spreadsheet to your website or other social networks. You can even initiate real-time chats with team members who are editing documents. You can download approved third-party apps from the Chrome Web Store to extend the functionality of Google Drive. 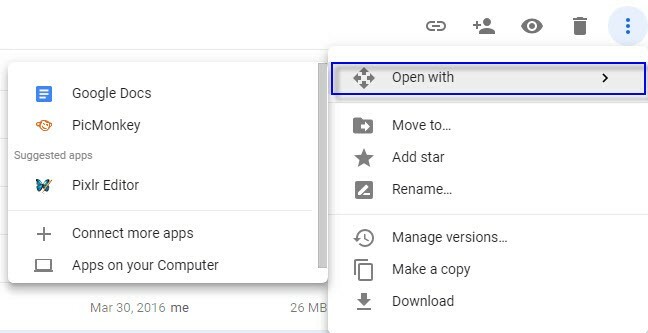 As an administrator, you control whether users can open Drive files with third-party apps and Google Apps Scripts that use the Google Drive API. People might use these apps, (such as those found in the Chrome Web Store), to edit images and videos, fax and sign documents, manage projects, create flow charts, and more. For more information about third-party apps you can see a list of recommended apps to get you started. You don’t need to worry about your files being compromised with Google Drive, as all your data is encrypted and stored in Google’s secure data centers, with HTTPS enabled by default. All files you store on Google Drive are private unless you share them with others—and if you happen to lose one of your devices, you can still access your files from another device. As an additional security precaution, you can set up two-factor Gmail authentication, since Drive is tied to your account. With Google Drive, you can share documents with others and collaborate on them in real time. That way, you no longer have to send files back and forth as attachments. 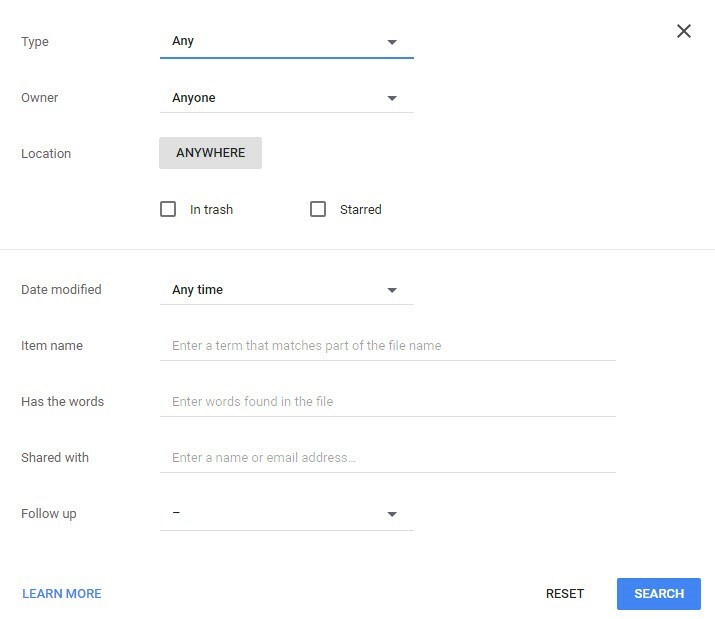 Create or upload new files. Log in to other computers on your network. Open shared, recently viewed, or starred files. Check or empty the Trash. Manage your Google Drive storage. When you click the New button, you’ll see a drop-down list of items that can be created or uploaded. Create a new Google Sheet. Create a new Google Slide stack. The main panel in the center of the page shows folders and files that are stored on your Drive. 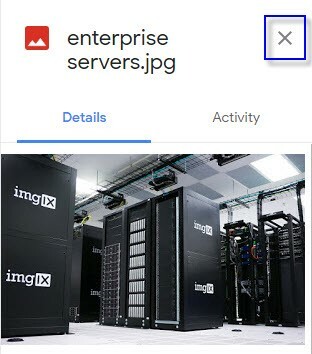 The example below shows the files and folders in the Thumbnail view, which shows images or the first page of documents along with the file names. This shows additional information, such as the file owner, date of last modification, and size. When you select a file in either view, you can view all important information about it in the Details tab. In the Activity tab, you can view the history of the file. If you need more room to view files, you can click the “X” in the right panel to close it. 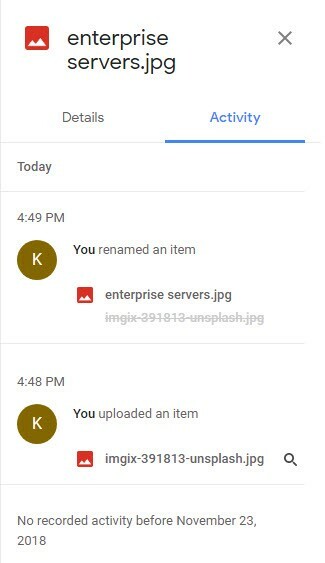 From an enterprise standpoint, Google Drive is a powerful cloud storage platform that allows individuals of an organization to create, upload, edit, and collaborate on files in real time. Since it is on the cloud, it allows individuals to access those files from any location and with a variety of devices such as PCs, laptops, smart phones, and tablets. So, you do not have to be chained to your office desk in order to conduct business which increases productivity and contributes to customer satisfaction.